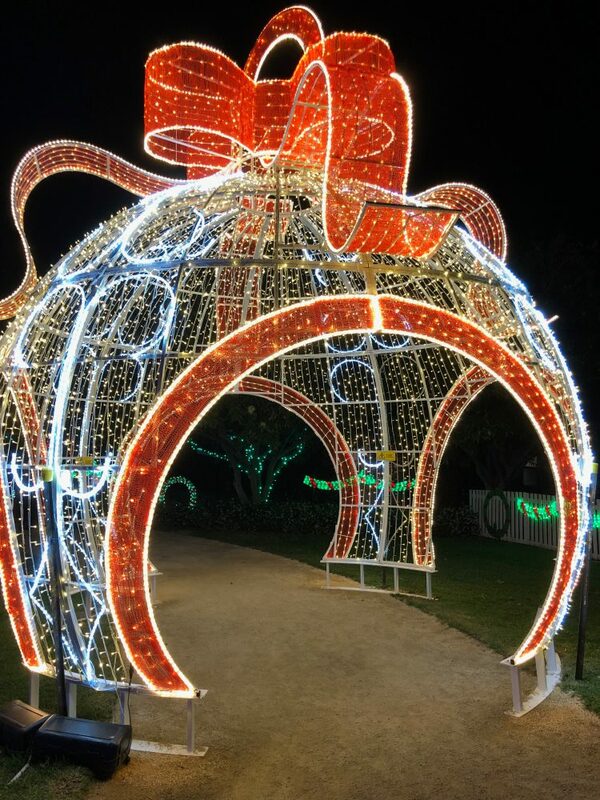 A visit to The Christmas Lights Spectacular at the Hunter Valley Gardens is something of an annual tradition for our family. We attend in November each year as a way of celebrating the coming festive season and because November’s shorter days ensure more time to view the lights under darkness. 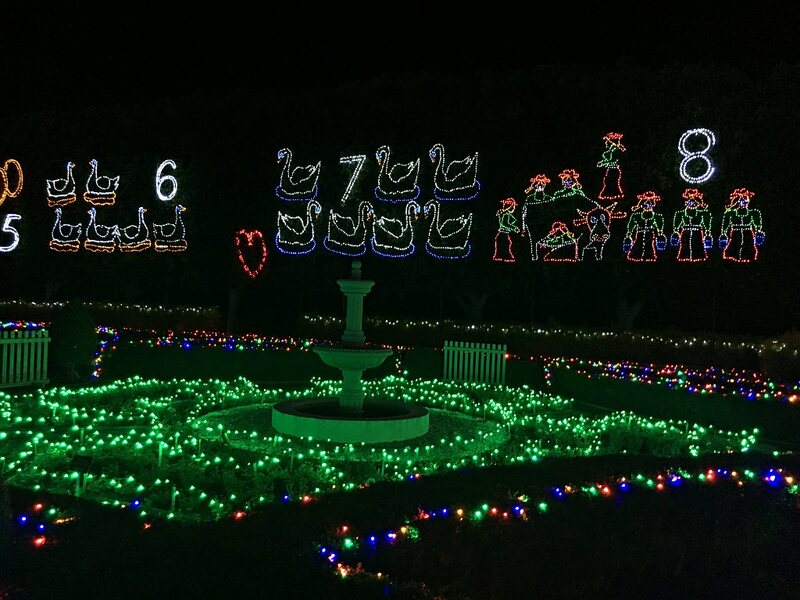 This display is no ordinary lights-adorning-hedges-type affair. No, no, this is far bigger and better and way more impressive than that. 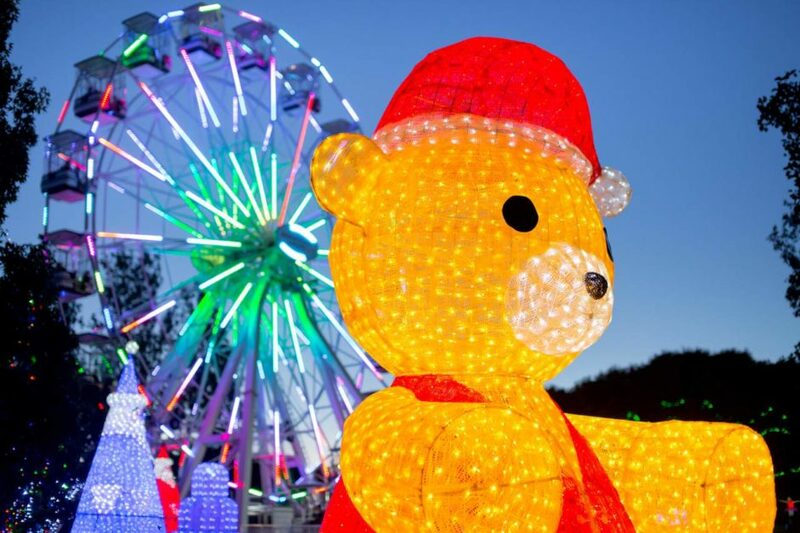 With more than 2 million twinkling lights, this is the BIGGEST Christmas lights display in the southern hemisphere! There are Cinderella castles, Ice Age squirrels, giant teddy bears and scooter-riding penguins. 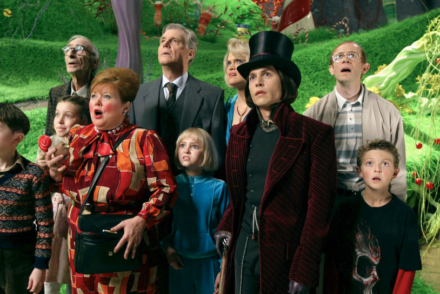 Their Candyland is scattered with liquorice allsorts, jellybeans, gingerbread men and lollypops, while their Fairyland is home to Tinkerbell, My Little Ponies and a giant rocking horse. A pirate ship sails the lake and dinosaurs roam the hill. 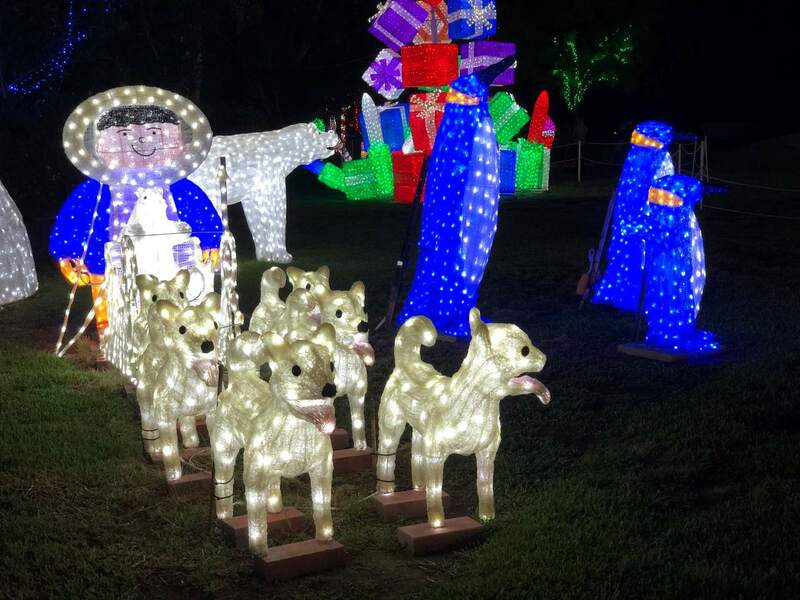 There’s a nativity scene that tells the story of Christmas and lights up an angel, baby Jesus, three wise men and more as the First Story is narrated. The “12 Days of Christmas” section encourages you to get your carol on, as the appropriate lights turn on with each verse of the song. There are 16 themed displays scattered across the garden, and it’s surprisingly difficult to capture the size and scope and beauty of it. The photos just don’t do it justice. 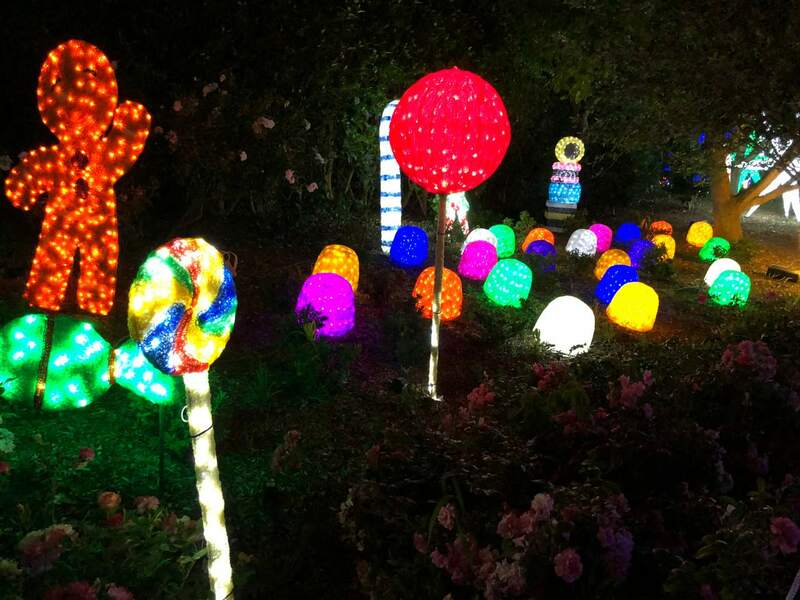 As you wander the gardens you’ll find yourself captivated by lights near and far. It’s not gaudy or chaotic with lights flickering and competing for your attention. It’s calming and beautiful and romantic. The lights are, of course, the pièce de résistance of this event, but there’s so much more. 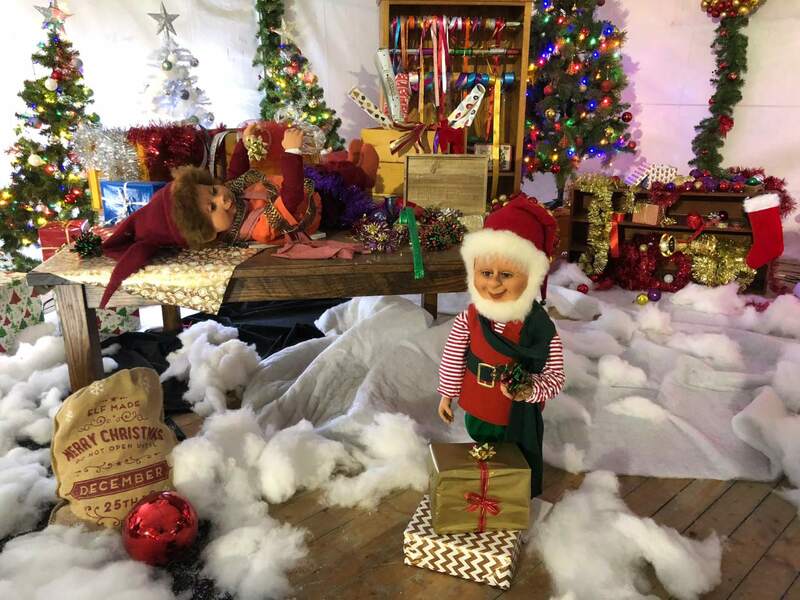 One of our favourite areas is Santa’s Workshop – a fantastical display of animatronic elves and reindeer that will turn even the grinchiest of grinches into believers. Here your child can compose and post a letter to Santa – be it a wish list of gifts or note of apology to win their way back onto the “nice list”. There is entertainment by way of carollers (until 24 December), roving circus performers and the Little Scallywagz children’s music group. The Scallywagz will perform on stage every evening at 7.30pm and 8.30pm. 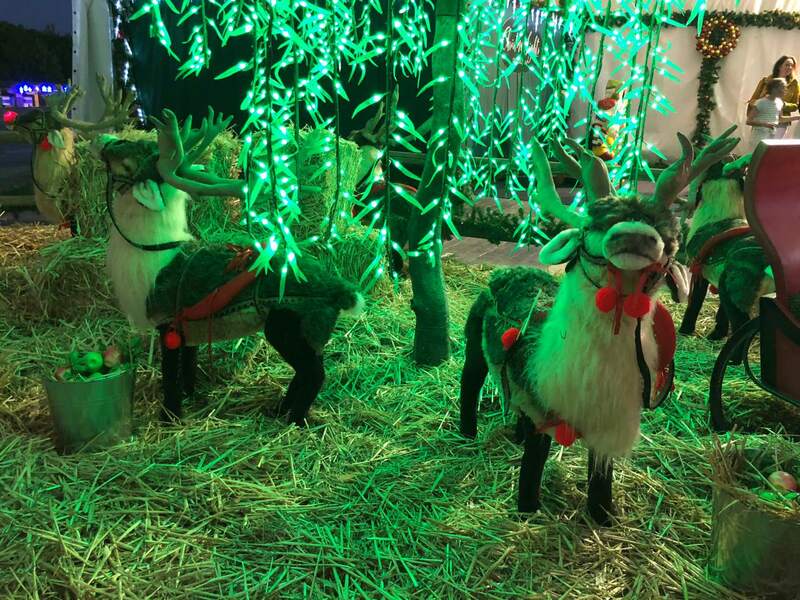 They’ll have your tots jiving to Christmas tunes and getting excited by the antics of Rudolph. 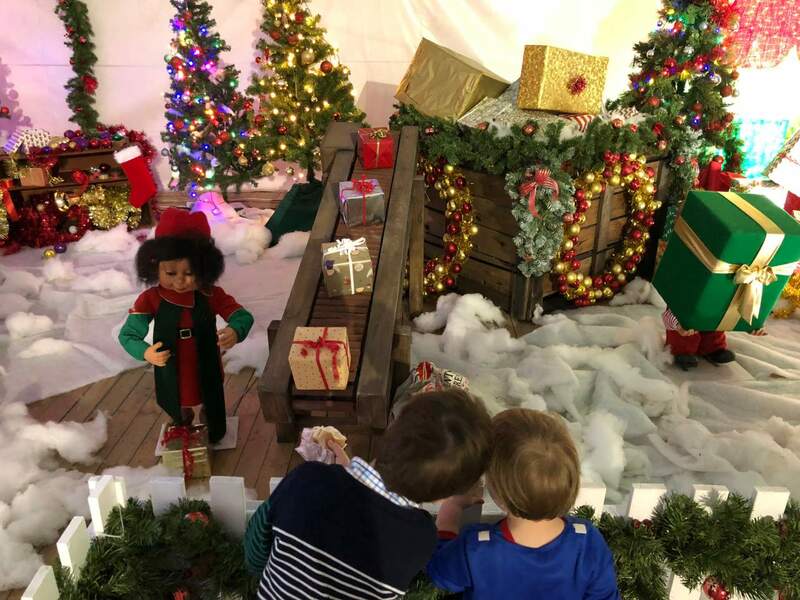 Every evening until Christmas Santa himself will be waiting to meet with children, to hear about gift lists and to pose for Santa photos (6pm-10pm; prices start at $35) and on New Year’s Eve the sky, too, will be lit with a fireworks display (9pm). A Venetian carousel, swing chair and ferris wheel were all installed as permanent fixtures of the Gardens in 2017. The swing chair sees you suspended and spinning 11m above the ground. The ferris wheel lifts you 25m into the air and grants you a view over the gardens, nearby vineyards and wineries and the surrounding mountain ranges. 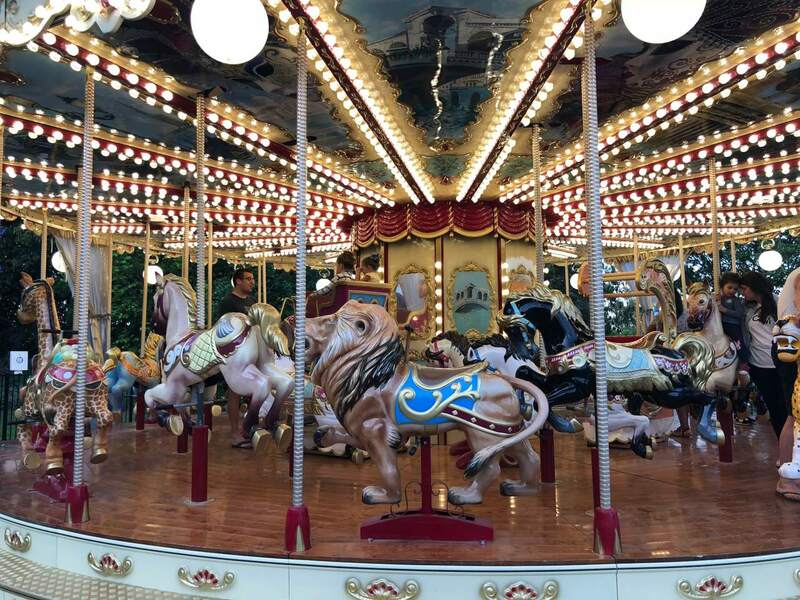 But it’s the traditional Venetian carousel, made in Italy to the Gardens’ design specifications, that is a favourite of ours with its giraffes, lions, horses and elephants. The Gardens also boasts a 35-metre long, 12-metre high super slide, plus two inflatable fun zones. One jumping castle area is zoned for toddlers while the second is for older kids, which is so sensible as it means tots can bounce without being bowled over and the big kids can go all-out nutty without being reprimanded to “watch the little ones”. You won’t go hungry. 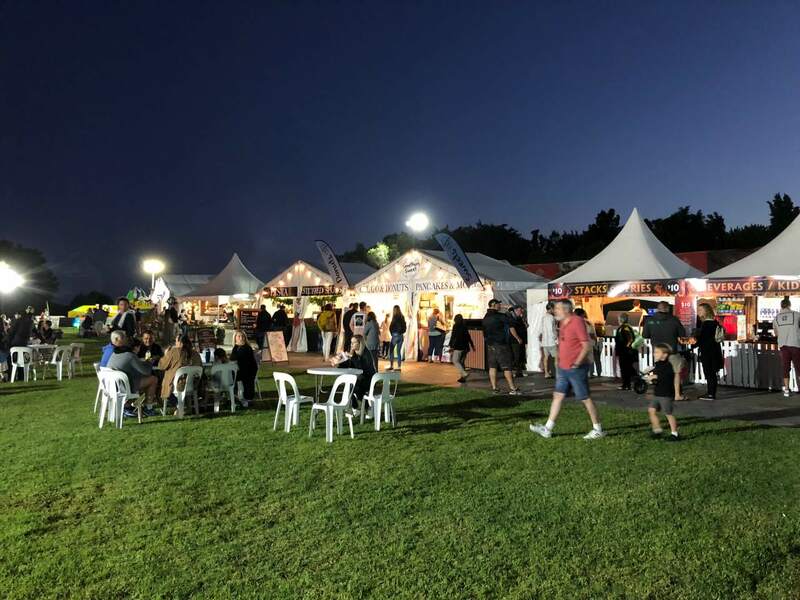 There are multiple food stalls serving stuffed spuds, brisket burgers, fish n chips and woodfired pizzas. Plus, there are plenty of “special treat” desserts, such as gelato, popcorn and donuts. Wine and beer can be purchased as can hot chocolate if the weather turns frosty – and believe us, it can. When: 2 November 2018 – 26 January 2019. Closed 25 December. 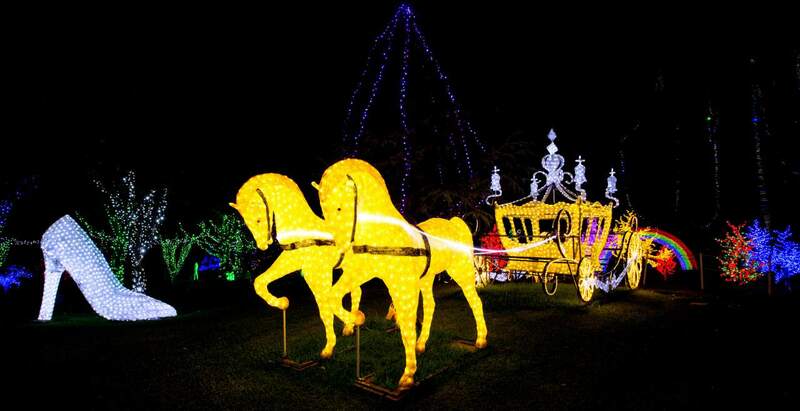 The Hunter Valley Gardens is open 9am-4pm; The Christmas Lights Spectacular is open 5.30pm-10pm. 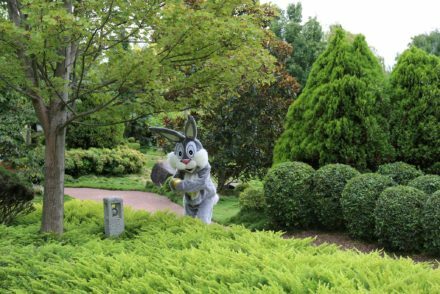 All visitors must vacate the Gardens between 4pm and 5.30pm. Weather: If thunderstorms hit, the event may be called off until the storm passes. Weather updates will be posted on the Hunter Valley Gardens Facebook page or call reception on 02 4998 4000. 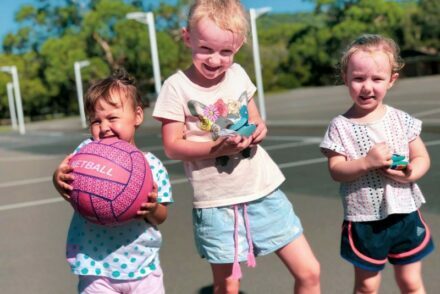 Access: All of the paths within the Hunter Valley Gardens are stroller and wheelchair friendly. Tips: Bring jumpers, as it gets surprisingly chilly of an evening. We recommend you take cash, as some of the food stalls don’t take card. There is an ATM facility located at the rides/food area, but it has run out in the past. Location: The Hunter Valley Gardens, 2090 Broke Road, Pokolbin. Entry passes can be purchased online or at the entry gate. Online tickets do not restrict you to a specific date. 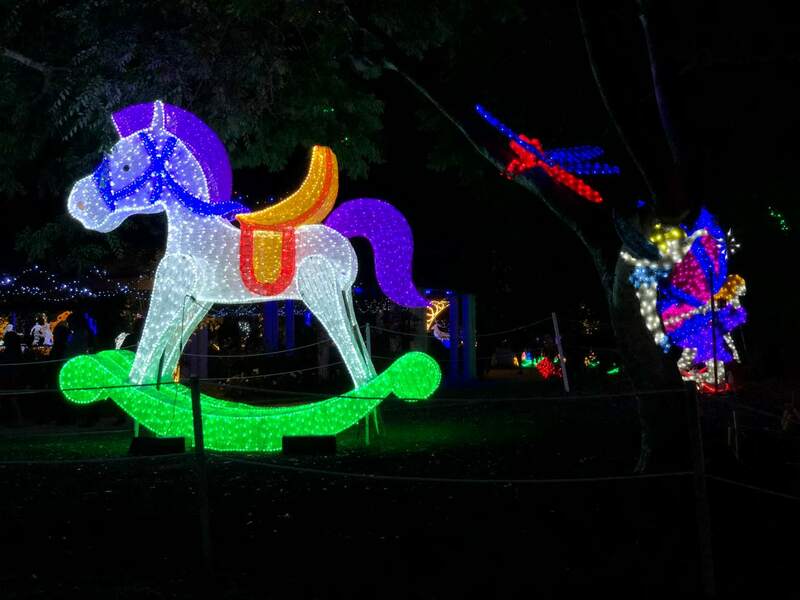 Christmas Lights Spectacular Entry | Adult $30; Child (4-15 yrs) $25; Child Under 4 Free; Family Pass (2 Adults + 1 Child) $79; Family Pass (2 Adults + 2 Children) $99; Extra Child on Family Pass $21. 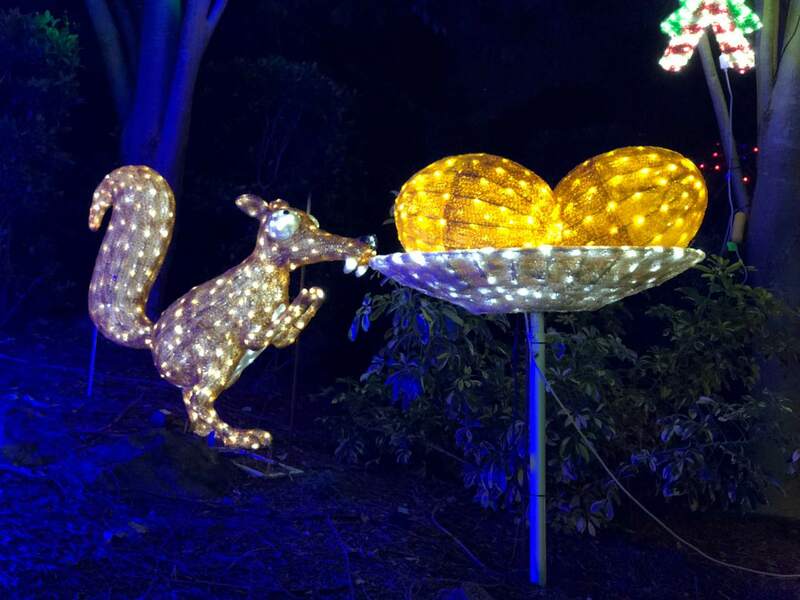 Day/Night Entry | Experience the Hunter Valley Gardens during the day and the Christmas Lights Spectacular at night with the Hunter Valley Gardens Day/Night pass. You don’t have to attend both on the same day: the pass is valid for 1 day and 1 night entry within one week of purchase. Adult $45; Child (4-15 yrs) $37.50; Child Under 4 Free; Family Pass (2 Adults + 1 child) $119; Family Pass (2 Adults + 2 Children) $149. 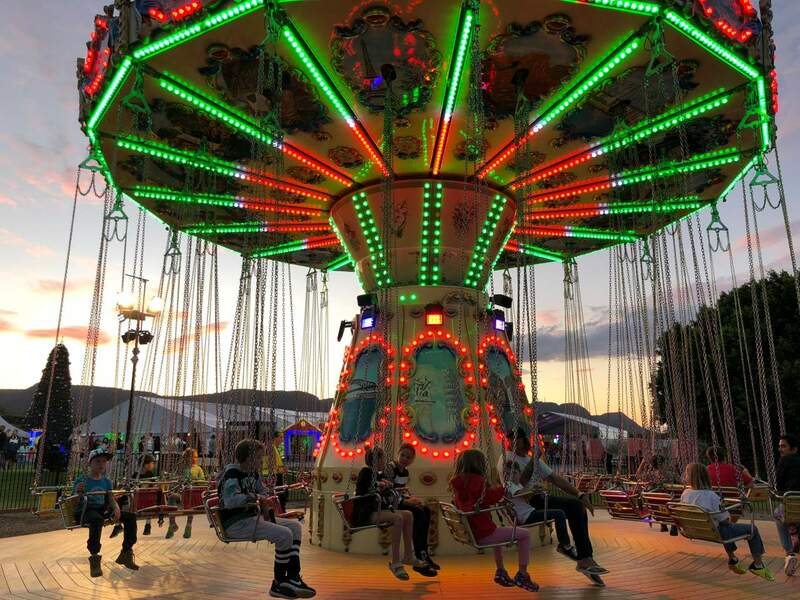 Rides Prices | The unlimited rides wristband is $15/person or rides can be purchased singly for $6/person. Ride passes cannot be pre-purchased. 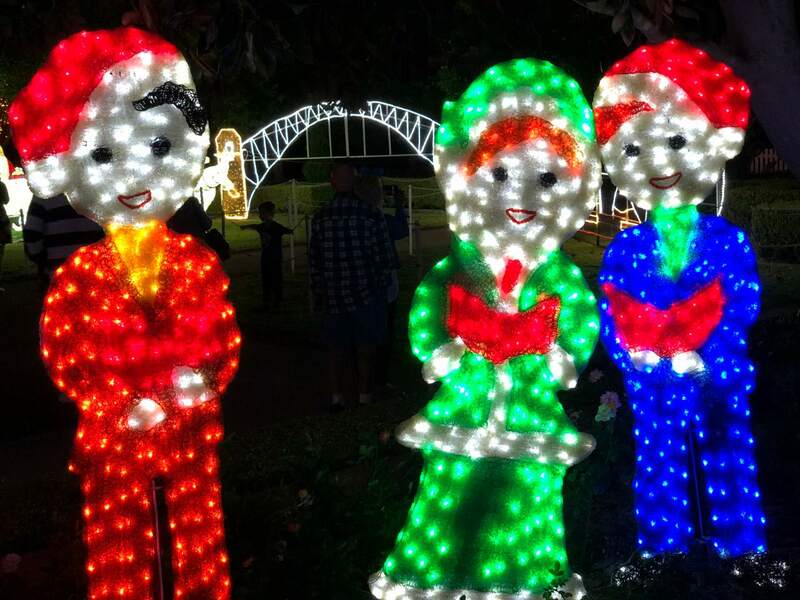 They are available at the ticket booth at the rides/food area in the Hunter Valley Gardens. Eftpos or cash accepted at ride ticket booth. Discounted Entry for Large Groups | If you have a group of 10 or more paying adults you can get discounted entry. To secure this rate you must pre-book at least 3 days in advance. 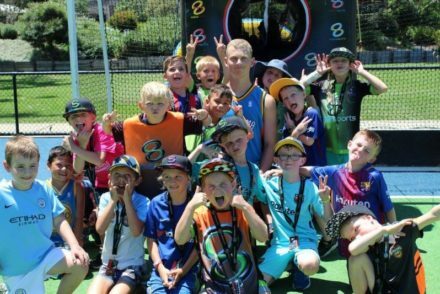 To make a group booking, contact groups@hvg.com.au or 02 4998 4006. Annual Passes | Planning on coming to the Gardens again and again? 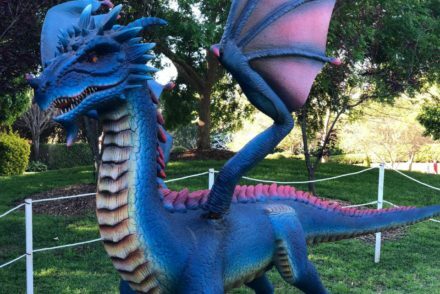 Their Annual Passes offer unlimited entry to the Hunter Valley Gardens and all of their events for 12 months, including their Snow Time in the Gardens and Mega Creatures events. It makes a great Christmas gift! Adult $110; Child (4-15 yrs) $85; Child Under 4 Free; Family (2 adults + 2 Children) $360.